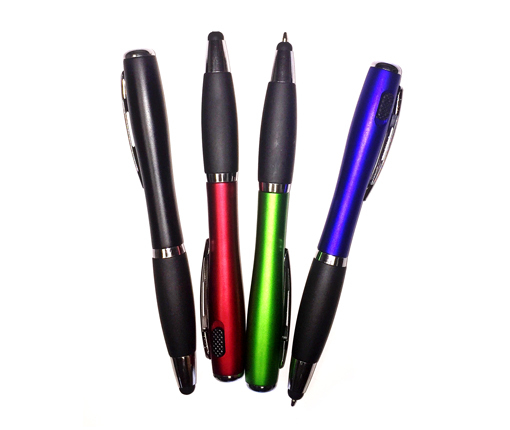 Product Description: Silver barrel ball point STYLUS pen with LED light. *INVENTORY AMOUNTS: May not be accurate. Please call or email us to confirm actual inventory before ordering.